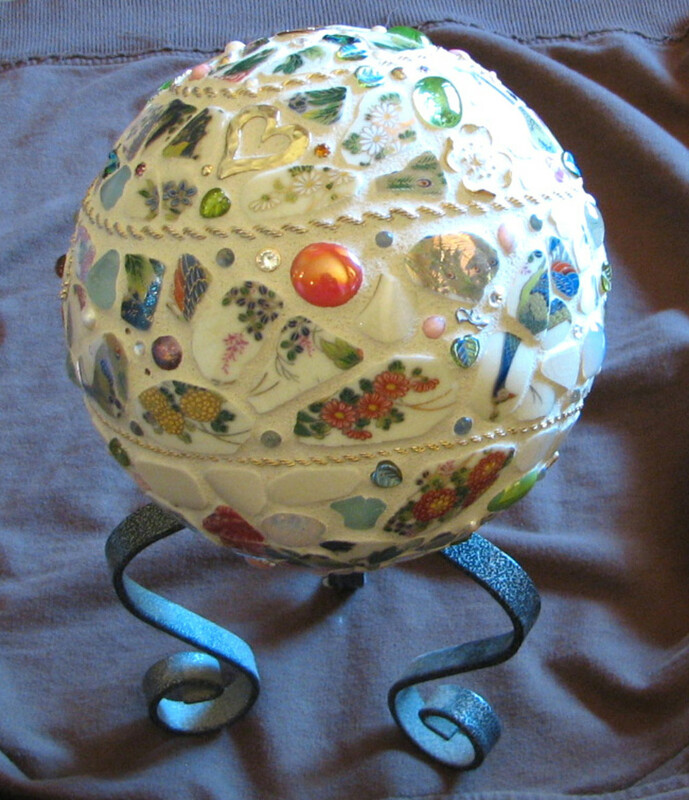 Gazing globes are also called yard globes, mirror balls or lawn globes and are used for garden décor or accents. 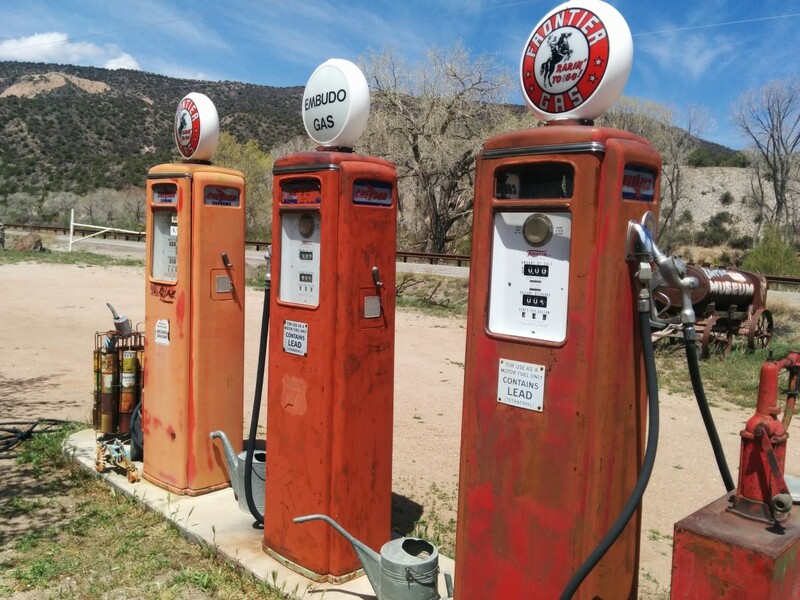 Here you will find a brief yet fascinating history of gazing globes as well as a variety of attractive gazing balls that will add another dimension to your garden or make a thoughtful gift for a gardener. The first garden gazing balls were made of glass and used indoors as well as outdoors (see following section for more about using the globes indoors.) Today, you will still find glass orbs but many gazing balls are now made from reflective (and unbreakable) metals. The globes reflect everything around them in a slightly distorted way that makes them very attractive and a fascinating focal point for your garden décor. 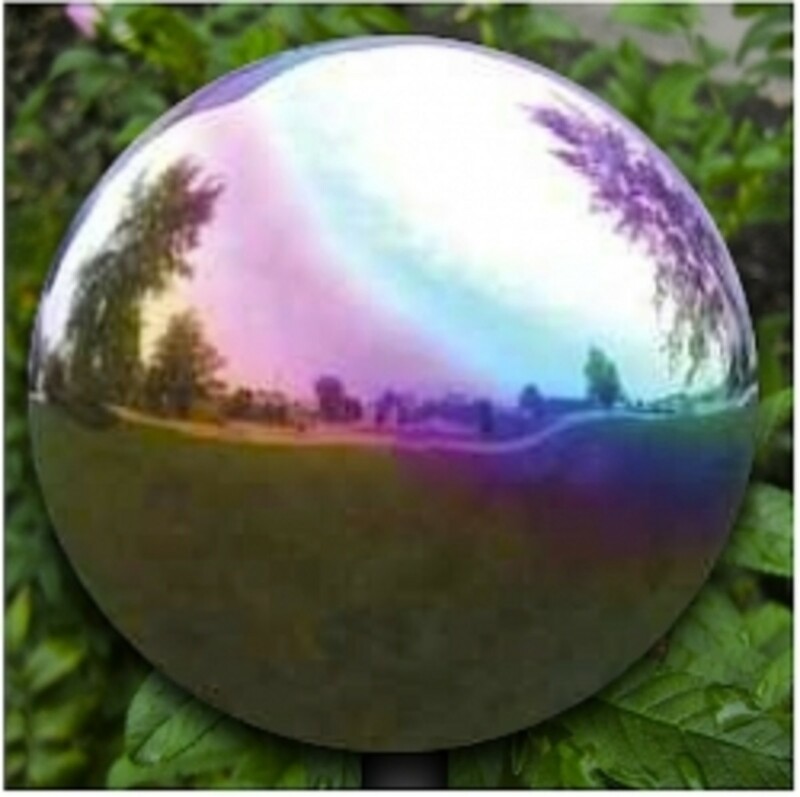 Add a beautiful gazing ball to your lawn, garden, deck, patio, or porch and you'll soon find out why they are so popular. Gazing globes were first made of blown glass in Venice, Italy in the 13th century. They were believed to hold magical powers and the ability to ward off evil spirits, ghosts, and witches. 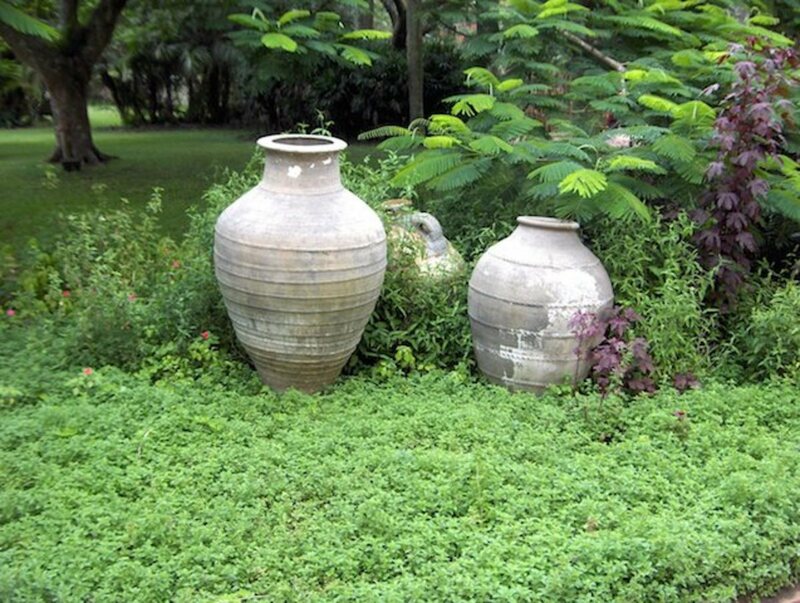 Garden globes are believed to bring luck to their owners and some use them as a focus for meditation. Formerly available only to the wealthy, garden globes now come in a range of prices and materials to suit every taste and any budget. 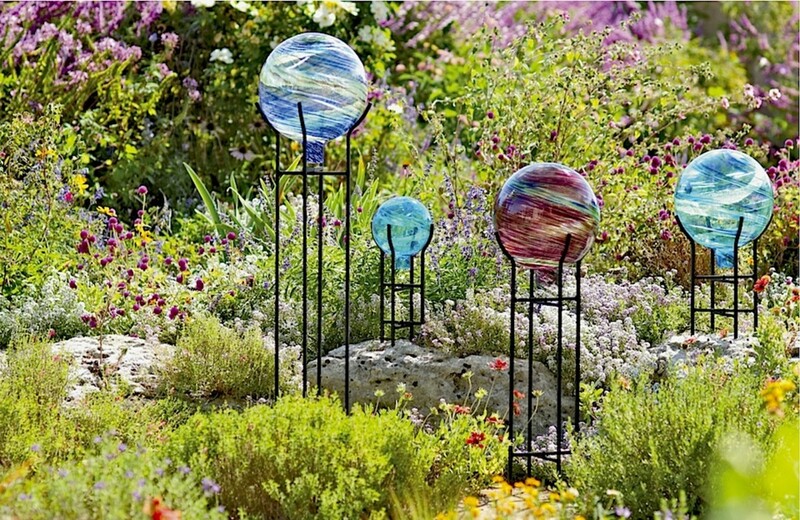 This gorgeous artisan blown-glass globe will make a stunning impression in any garden. The globe has glowing rings and the globe will glow in the dark. Measures about 10 inches in diameter. A favorite garden feature of European royalty for centuries, the Victorians popularized the use of garden globes in the U.S. and often gave them as friendship gifts. Placed at strategic locations, servants would often use them as a mirror to watch for approaching guests. Victorians also placed them in a strategic location in the dining room so servants could discretely see if any guests required anything by glancing at the reflection in the globe. 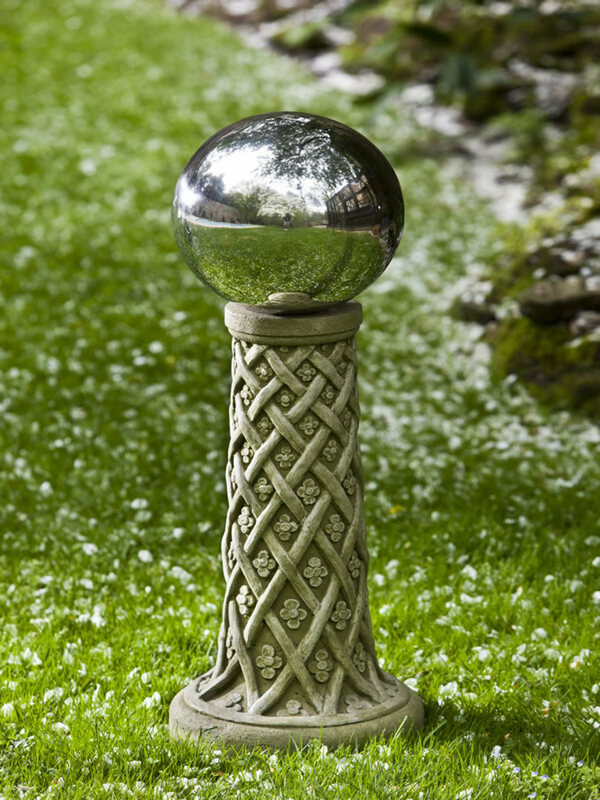 Like phosphorescent foxfire glowing in the forest, these gazing globes add nighttime magic to the garden. The globe absorbs sunlight during the day, then begins glowing at dusk for 2 to 4 hours. Click for more information or to order your favorite now. This pretty silver gazing globe is made of stainless steel that will reflect everything around it. This globe will float in water so it will make a great floating ornament. What a unique gift to present someone. colored balls for the sun to play upon"
The gazing globes from Bird Brain are made from 100% recycled glass. They are made by glass artisans and each one is truly a work of art you'll be proud to display. Legend has it that placing a gazing globe in your yard or garden will scare off witches and evil spirits and bring prosperity and harmony. 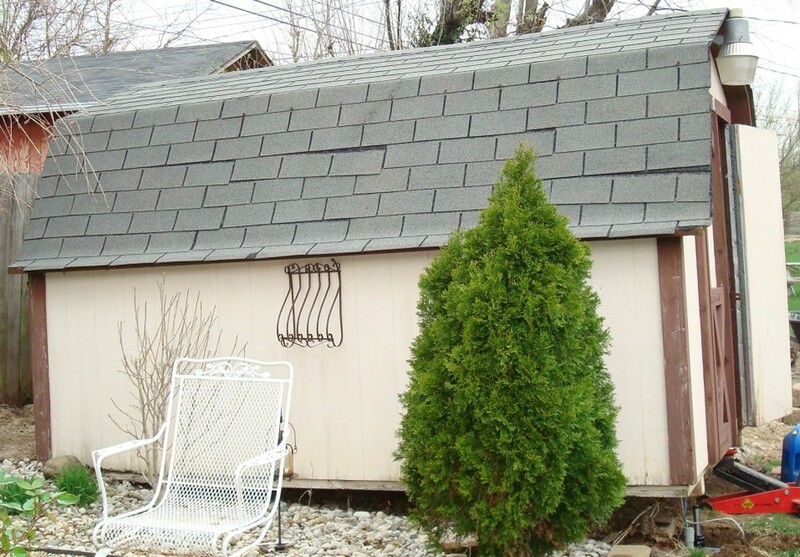 Include a copy of that information and this becomes an even more thoughtful gift for the new home or business owner. Gazing globes or balls can be placed anywhere in the garden or patio or simply laid on a lawn for great effect. However, they are usually set on stands, often on pillars or columns. 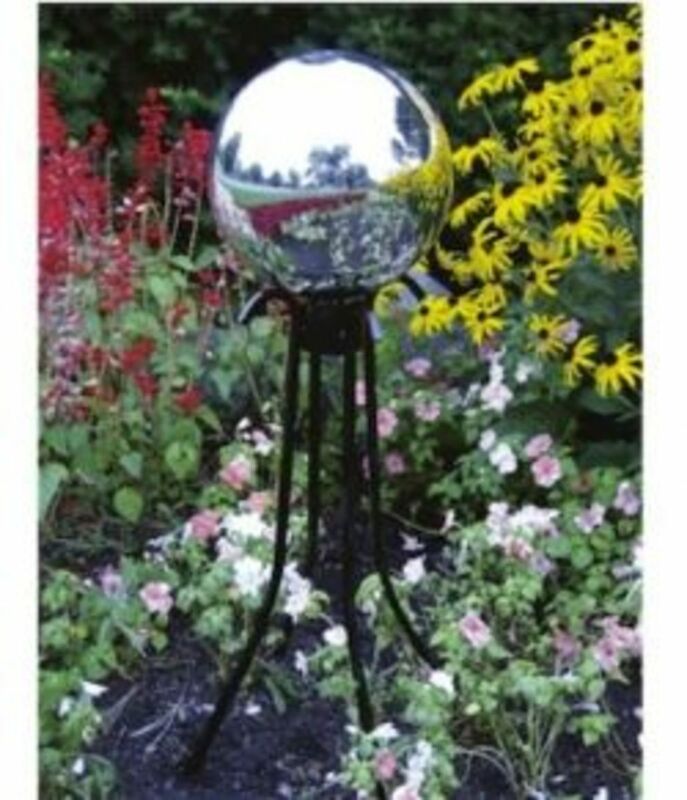 Gazing globes are very versatile and enhance any garden or yard. Reflective globes can be placed to reflect what you can't see around corners, for example, or to showcase a favorite plant or flower bed. 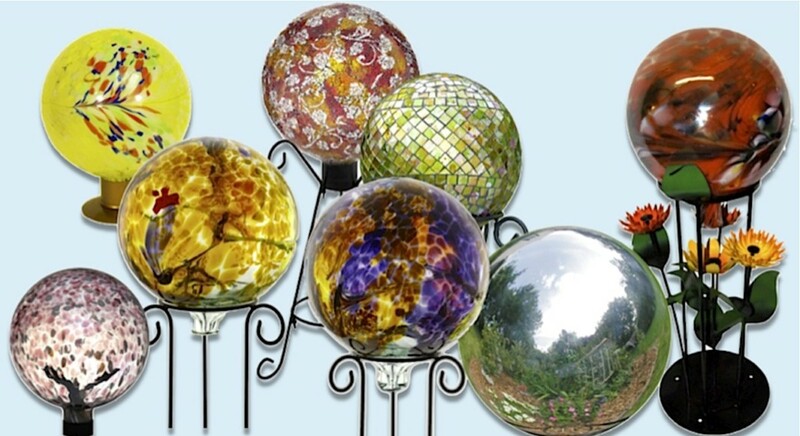 Decorative globes that are not reflective are a classic garden accessory and come in so many materials and colors that sure you're sure to find the perfect one. 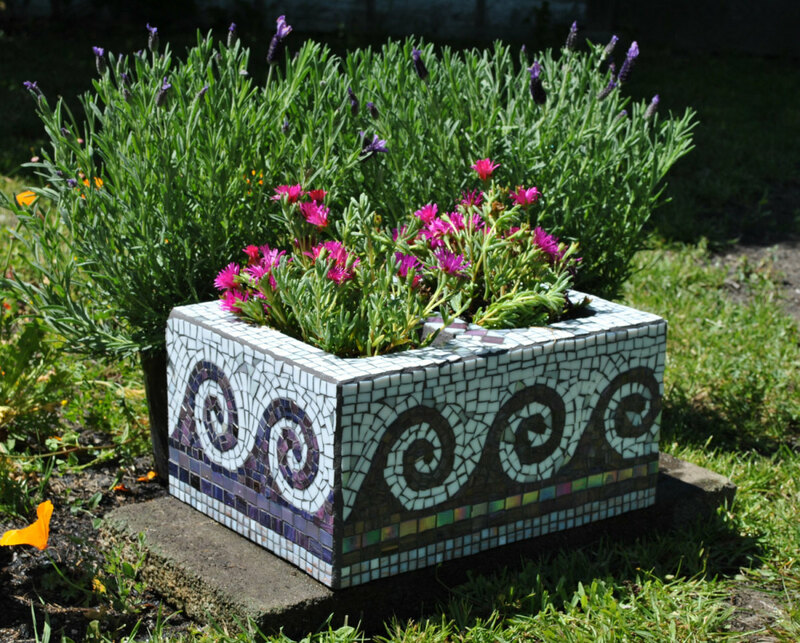 Do you have a gazing globe in your garden? Did you find some here that you like? Which gazing globe will you buy? For yourself or as a gift? We'd love to hear from you and appreciate your feedback. 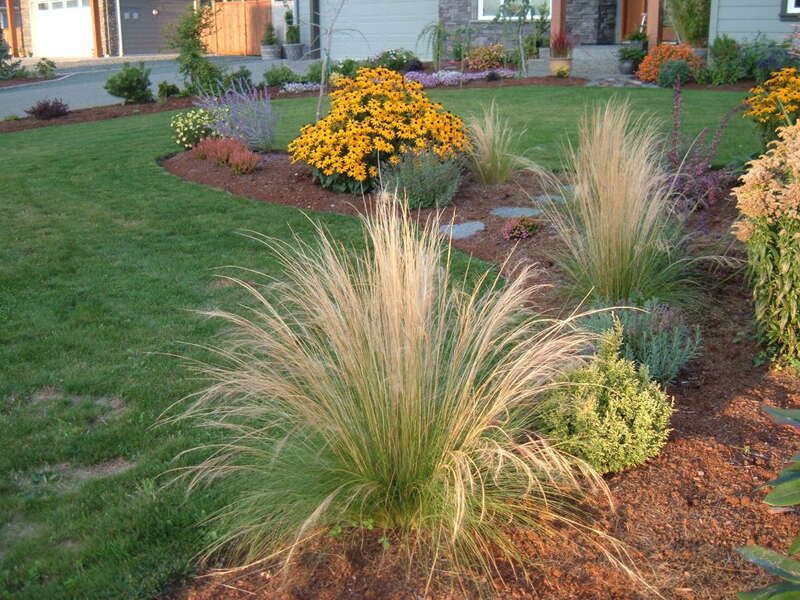 What Do You Think About Garden Gazing Balls? I think gazing balls are beautiful and catch your eye no matter where they are. @anonymous: Thanks for your visit to my Gazing Balls for the The Garden and for your kind comments. I do have a few lenses in Celebrate, but I don't find it really helps so keep some out and rotate them in and out of the zine occasionally. Also appreciate the Pinterest share! Thanks again. What a wonderful gift idea for the holiday season or any occasion. Think about sharing this lens via the the Squidoo Celebrate magazine? It's a gift guide. I shared via Pinterest. They're very pretty. I don't have one, but sure wouldn't mind seeing one in my back yard. I love gazing balls they are magical in the garden. Good work. Those are beautiful! I have to get one of those for my garden. We have a blue one but I LOVE the stainless steel!